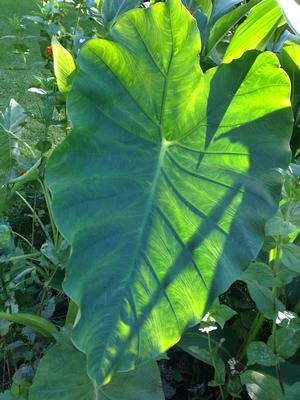 Upright Elephant Ear with thick glossy heart-shaped leaves in a lovely light green shade. Adds a tropical touch to the garden or containers. An easy but large houseplant, too!